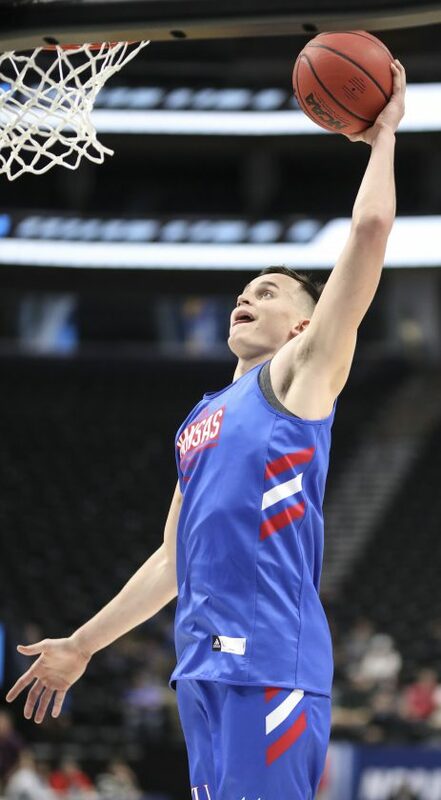 Salt Lake City — On Thursday afternoon at Vivint Smart Home Arena, seven members of the Kansas basketball team’s rotation will experience the NCAA Tournament — and all the nerves and pressure and highs and lows that accompany it — for the first time. It was two years ago, in Tulsa, Okla., that Mitch Lightfoot found out exactly what that entails. 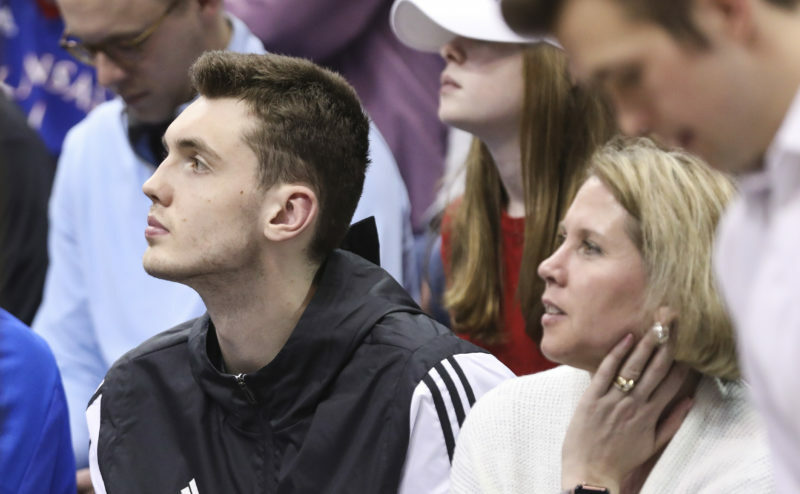 “It was UC-Davis,” Lightfoot recalled on Wednesday afternoon inside the Jayhawks’ locker room, stretching his 6-foot-8 frame backward and looking up at the ceiling as he focused to access the portion of his memory bank where that information lives. “My freshman year. I was guarding their best player. I remember it was Christian something? I think,” Lightfoot guessed, taking an unsuccessful stab at the exact name of his defensive assignment two years and 72 career games later. “And we won, obviously. And he got a dunk. And that’s all I remember, because I was really pissed off, because I gave up a dunk in the NCAA Tournament,” Lightfoot said of his introduction to college basketball’s grand March stage. Back then, Lightfoot played sparingly as a reserve for a deep KU team seeded No.1 in the Midwest Region. Sure, his breakdown while hedging on a ball screen in his first minute of March Madness action led to a dunk. But it also came in the second half of a game that KU already led by 40. That group of Jayhawks had senior and National Player of the Year Frank Mason III on which to lean. The following March, when Mason was a rookie in the NBA, KU’s less seasoned players still had All-American Devonte’ Graham to carry them. 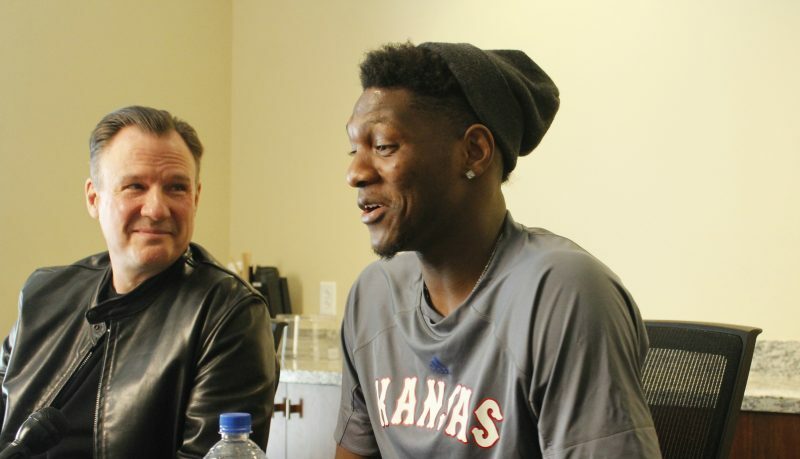 Lightfoot came up as a role player on those KU teams that had dominant star senior guards. Now, as a junior and a backup, he’s the savvy veteran of the locker room. The wise, old man of the bunch who should have all the answers. 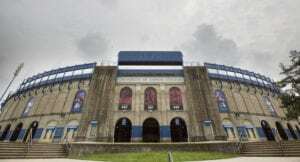 “It’s a little different going from feeling like you’re just the youngin’, soaking it all in, to being the guy that helps all the other guys out, getting used to the tournament, what it’s like to play in it, being around this environment,” said Lightfoot, who enters KU’s first-round encounter against Northeastern with seven games of NCAA Tournament experience and two starts. With Udoka Azubuike sidelined and Lagerald Vick no longer being a part of the team, the role was somewhat thrust upon Lightfoot. But that hasn’t made it any less rewarding for him. “You get to bide your time and now you get to impart a little bit of what you learned onto the other guys,” Lightfoot said. While the backup big who averaged 13.4 minutes a game during Big 12 play is known most for his defense in the paint and the energy he provides with his blocked shots (32) and team-leading 14 charges drawn, Lightfoot is just as valuable off the court for this roster, with seven of its top eight scorers — Dedric Lawson, Devon Dotson, Ochai Agbaji, Quentin Grimes, David McCormack, Charlie Moore and K.J. Lawson — about to play in their first NCAA Tournament game. Lightfoot has done his best to mentally prepare them for what’s to come before the ball is tipped and there they are, to steal a line from the tournament’s theme song. At some point during Thursday afternoon’s first-round matchup, some tournament newbie from No. 4 seed Kansas (25-9) inevitably will make a mistake, maybe even one that leads to a dunk, like Lightfoot did a couple years ago. And with No. 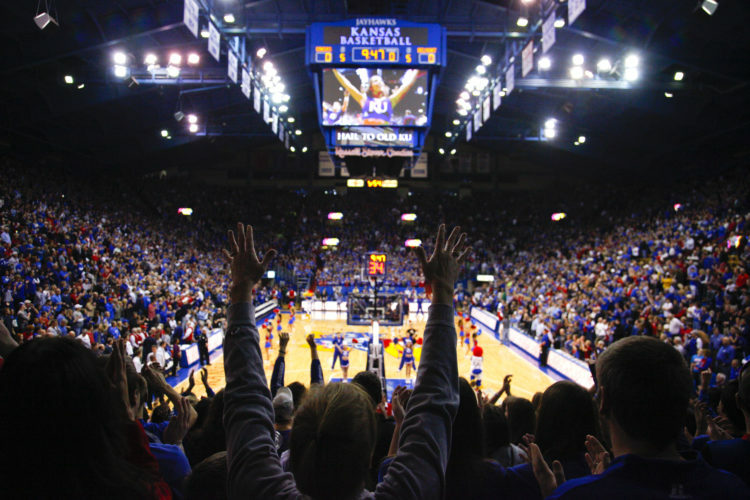 14 seed Northeastern (23-10) looking to pounce and win over a neutral crowd in such instances, the way KU’s players react when something goes awry could end up playing a large role in the outcome of this game. In Lightfoot and sophomore guard Marcus Garrett, who played in all five of KU’s 2018 postseason games, the Jayhawks have a couple of players who can prepare their less experienced teammates. Lightfoot said there are ways to convey some know-how on what it feels like to make a mistake, as well as the need to find a proper response. Both Lightfoot and Garrett have helped the rest of the rotation get as ready as possible for the brand new and potentially stressful situation before the tournament has a chance to smack the four freshmen and three transfers over the head. Of course, Lightfoot is always in his teammate’s ears about something that will end up helping them, either that very day or down the line. 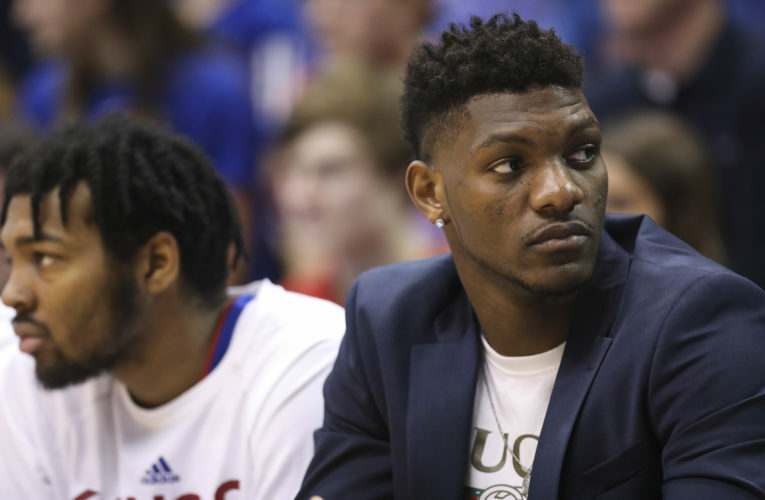 Admittedly, Lightfoot called it “crazy” that he and Garrett were the only two active Jayhawks in the locker room with NCAA Tournament experience. 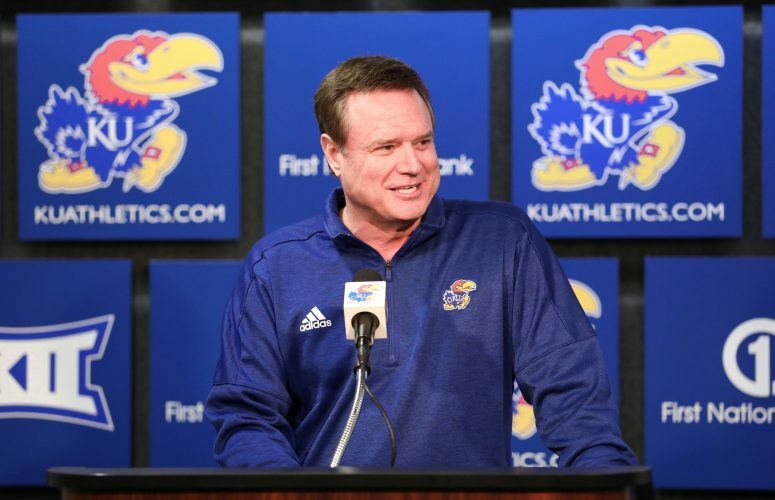 But according to his veteran eyes, this relatively inexperienced KU team is “extremely locked in” and peaking at the right time. The junior forward who grew up cheering for the Jayhawks from afar each postseason will continue doing all he can to educate his teammates on all things March. Part of Lightfoot’s message has echoed that of his coach, Bill Self, in terms of playing without any distractions. Just as important, though, Lightfoot offered, will be playing loose.